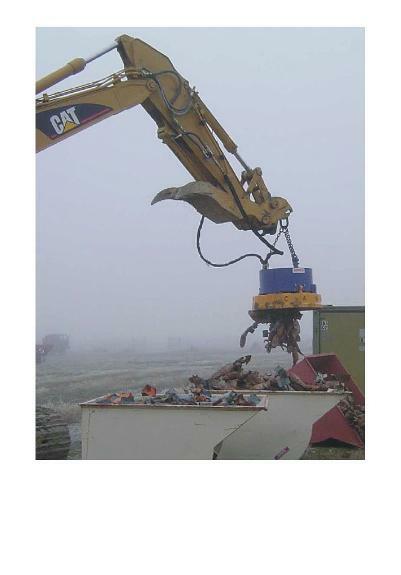 The H-MAG metal scrap magnet is designed for continuous scrap handling application in both indoor and outdoor environments. 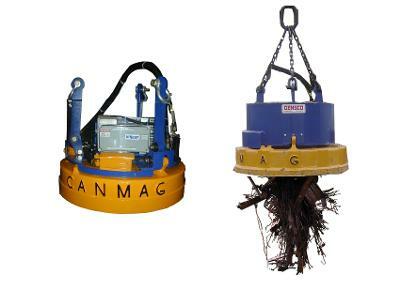 This scrap handling system has been built with an integrated power and control system which is connected from within a durable enclosure attached to the magnet, giving the operator more flexibility & control when handling hazardous scrap material. From this design feature no electric line goes to the magnet and there is no auxillary power required to power the machine. Breaking the hydraulic flow through the valve begins an automatic drop circuit through electronic circuitry located within the enclosure. The advantage of the systems is that almost no installation is required on the machine, with no separate electric controls and switchgear. 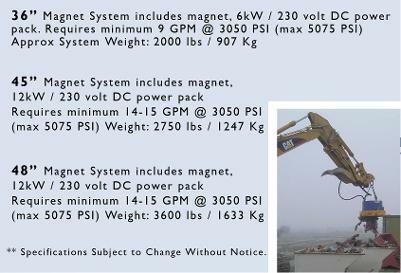 The magnet and its internal power supply can be quickly disconnected freeing up the machine for other applications when required. This unit is ideal for companies with a fleet of machines when working in increasing scrap metal production. 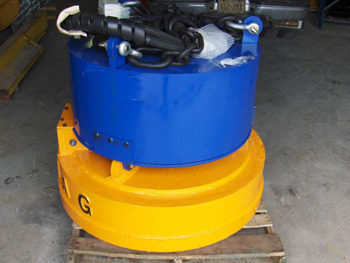 The H-MAG series of metal scrap magnets would also benefit companies in the machine rental industry, demolition, steel fabrication, railways and ports as this new product would be ideal for their operations both global and domestic.